I have been numbers driven as far back as I can remember, whether in my business or personal life. In my journey since Dana’s death, there have always been many different dates and numbers playing out in my head. Sometimes comforting, other times maddening! An early example of this is that I was aware when the date came where I had been without Dana as many days as I was with her. Whether comforting or maddening, these “number games” have been a useful mechanism that have helped me get through time. A more recent example of this is that Dana lived exactly 22 years and 5 months. This past October, when my oldest son Dylan hit the 22 years and 5-month mark, I knew it and it had a lot of significance to me. Ten thousand days. In those early days it seemed like such a random, far off number. But I often would wonder to myself how life would be in “ten thousand days”. I wondered how I would be functioning. I wondered how I would be coping with the pain. I wondered if I would have a family or if I would be all alone. I wondered if and how I would actually make it in this world that long. The list went on and on. My thought has always been; to get through the years, I would first need to get through each and every day. A daunting task, but the only way was to approach it one day at a time. So when I was thinking of what to name this blog, “Ten Thousand Days” quickly came to mind. I was approaching 27 years, but more significantly to me I was approaching ten thousand days. It was quite a personal accomplishment for me to make it so far. I was finally writing about my journey, in the shadows of the ten thousandth-day. So there I had it, the name of my blog! I cautiously hit the publish button for the first time in mid-August. It was so scary to finally put myself out there, after holding it all inside for so long. It took a month or so for my story to start gaining traction. I have since been amazed and humbled by the amount of people I have been able to touch. 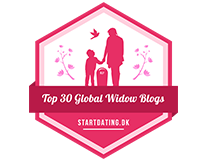 My original post, which tells my story, has since been published by The Good Men Project and Thrive Global. Other pieces from my blog have been published by The Mighty. The inspiring story of my wife Shelly’s battle with TBI and PTSD went viral, first being published on The Mighty and then getting picked up by MSN, Yahoo and others. Today is the day, March 30th, 2018. Ten thousand days since Dana left this world. A few tears have been shed this week as I wrap my head around how long this has truly been. It took almost this entire amount of time for me to begin serving others with a positive purpose. I am ashamed that it has taken me this long to channel my journey in a positive way. But it feels great to finally be doing so. I am working with a publisher and starting to write a book. A book detailing my whole journey, both the highs and the lows. My hope is that my raw story of adversity, resilience and gratitude reaches, helps and inspires many. I am finally at peace. It took almost ten thousand days to get there. I believe writing has been the final push to get me over the top on that. For so long, I kept it all inside. I felt that people really were uninterested and too uncaring to hear it. I have now been humbled to find otherwise. I am hearing from people all over the world. My story is helping those in the early stages of a similar journey. Maybe my experiences will help them get to peace and positivity much sooner than it took me. Although writing my story has been healing for me and helpful for others, I do realize it has been uncomfortable for a handful of people. Some have apologized to me, while others have been noticeably silent. That is okay, as some will have a differing memory on how things played out over two decades ago. But I truly can’t put into words how helpful the acknowledgement and heartfelt apologies have been. Now I embark on the next ten thousand days. One thing I know for sure; in these next ten thousand days, I will do a much better job exemplifying Dana’s legacy in the positive and optimistic way that she lived her life. That is really nice of you to say…thank you. You are very courageous for choosing to touch so many people with your story. Counting it in days gives so much more perspective to the reality of going through every day. Every hour, every minute, every second. But it’s easier to talk in years. I’m glad you don’t and am glad you incorporate a tragic experience into something that helps others. Dana, I think, would be happy. You’re giving her a great legacy – what could be more beautiful than that? And thank you again Karen. You continue to wow me! I’m happy that you survived all those days. Dana has been by your side the entire time. You help people that are grieving. I’m impressed that you’ve also helped some to see the error in their ways and given them the opportunity to grow with the discomfort of admitting it and apologizing. So much growth is being experienced because of yours! I’m looking forward to reading your book one day! I will scream it from the rooftops that you are my dear friend! And I yours. I walk the roads paved by so many before me.